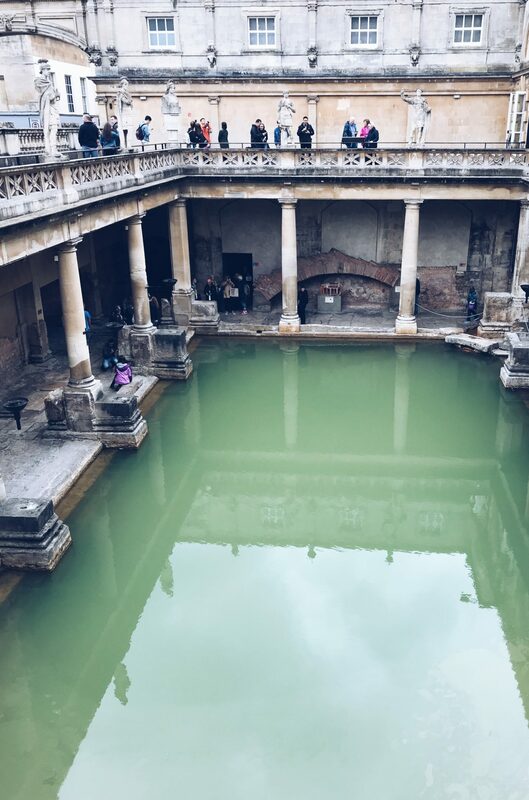 When I decided to do a project on Roman bathing, a slight motive might have been my desire to visit Bath. I’ve barely seen anywhere in the UK and the southern English city has been on my bucket list for a while thanks to its stunning Georgian architecture and reputation for being lovely. And I wasn’t disappointed. One slight regret I have about my trip to Bath is not doing sooner. I tacked it on to the end of my Italy trip which meant I was tired and missing home a lot so I didn’t give Bath all the love it deserves. I would definitely go back for an independent weekend visit! 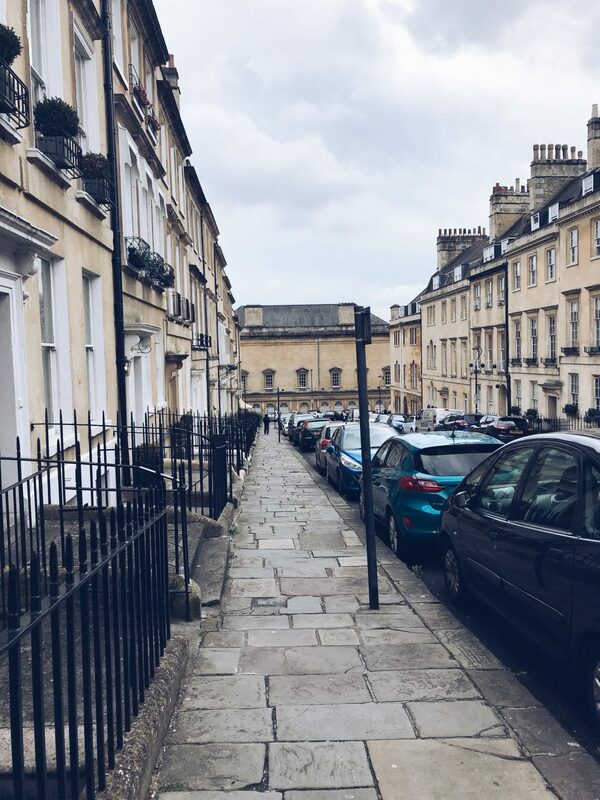 I spent two nights in Bath, spending one full day in the city and then the following day I spent in Bristol as I was flying home from there that evening. 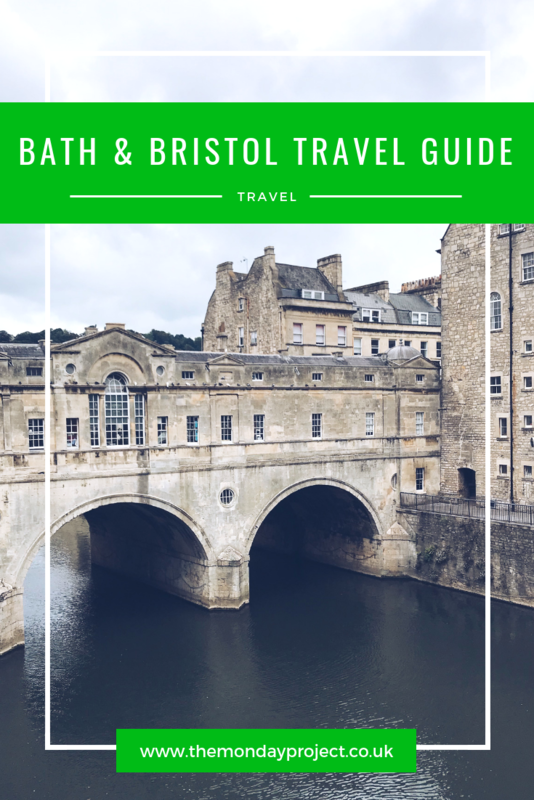 Bath is around 15 minutes away from Bristol on the train which is the host the nearest airport. I flew from Naples after Italy but flew back to Glasgow (both with easyJet) so there are plenty of destinations that you can reach Bath by air. To get to the airport in Bristol, you catch the A1 bus from outside Bristol Temple Meads and it is £6 for a student one-way ticket. In both cities I found the easiest way to get about was on foot but buses also cater everywhere in both cities if you want to reach somewhere further out or decrease your journey time. 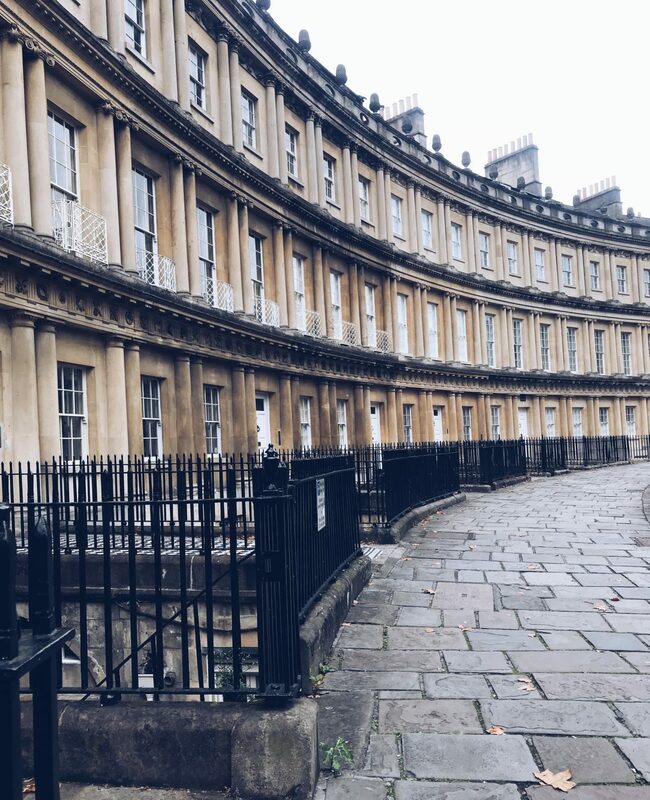 Bath is pricey as a getaway destination and most of the Airbnbs and hotels were out of my budget. I opted for an Airbnb about 40 minutes walk away from the heart of the city centre which did me fine. It was a basic room but it had the comfiest bed with the softest duvet and a gorgeous view out over the hills that surround Bath. I did look into hostels but there aren’t many hostels in Bath so I just went with an Airbnb and wanted my own space after a week in one in Italy. 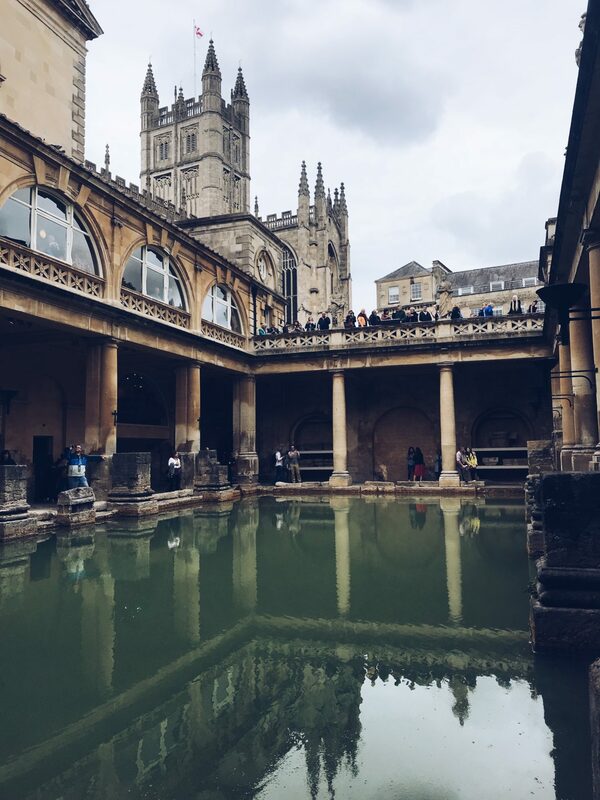 In my one full day in Bath, I wanted to see everything. I left my Airbnb around 10ish and walked into the town over getting the bus. My Airbnb host had left some leaflets and brochures about things to do in Bath in the room so after receiving an email at 11pm the night before to tell me my free walking tour had been cancelled, I took the Bath City Trail leaflet and map out with me so I could make my own walking tour. Bath city centre is pretty small and easy to navigate on foot. 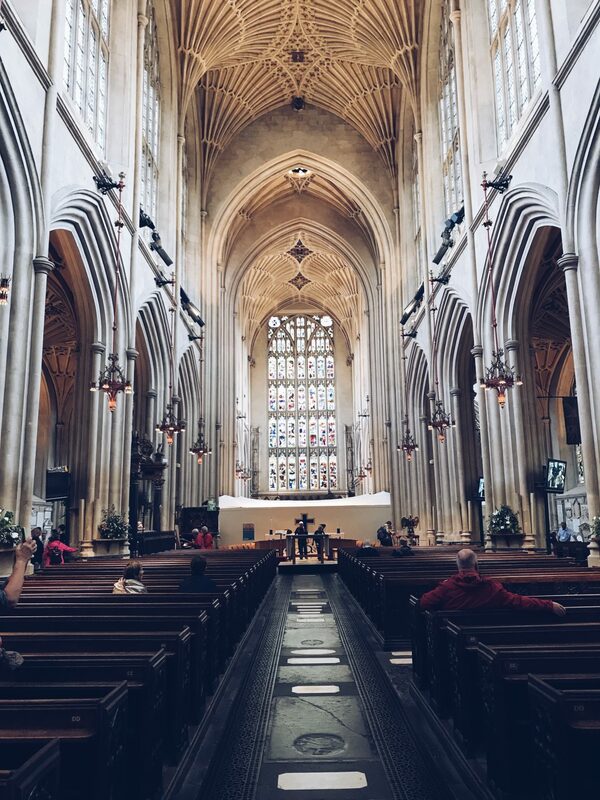 I started at Bath Abbey which is absolutely change and a nice change to religious architecture I’d seen in Italy. It has a beautiful Jacob’s ladder design on the front and the ceiling inside is mesmerising. It is free to enter but a donation is encouraged and you have to buy a ticket to do the tower tour. The Abbey sits right next to the Roman Baths but as I passed by it at 11am, a queue was forming outdoors so I decided to come back later. I instead headed down past the Cross Bath on my way to Queens Square. From Queens Square I headed up Gay Street to King’s Circus and Royal Crescent which are stunning examples of Georgian architecture. 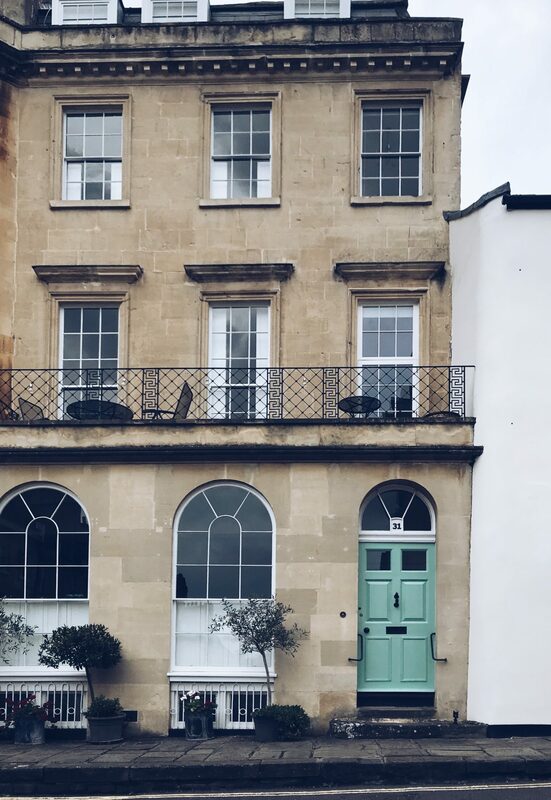 Exploring Bath on foot meant I never missed a pretty door or cute little street. I grabbed a take-away lunch from Cake Cafe on George Street where you could any bottle of juice, a baguette or panini and a cake for £4.80 which I think is a great deal. I went with Brie and cranberry after three weeks of mozzarella and tomato, followed by the most delicious slice of raspberry and rhubarb cake, washed down with Diet Coke. 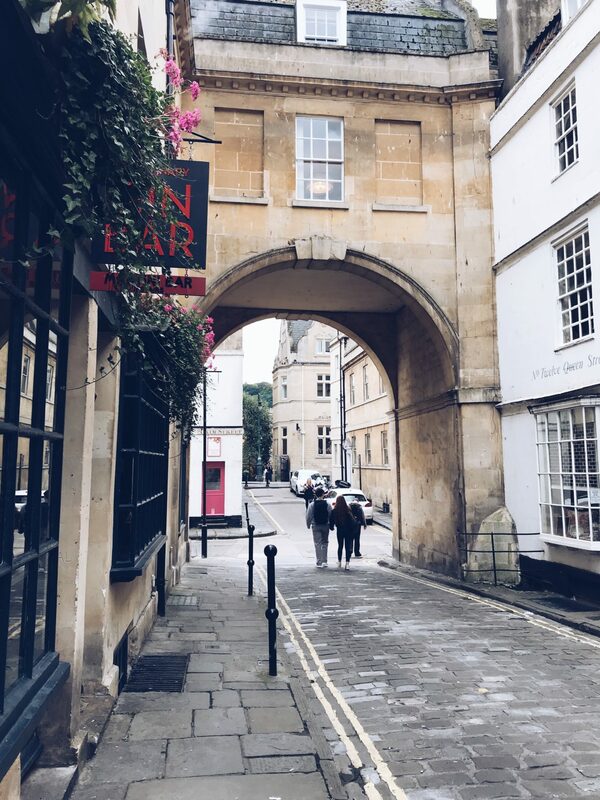 Bath has so many cute cafes to choose from and other places I had eyed up include The Whole Bagel, The Bridge Coffee Shop and Boston Tea Party. My final exploration stop before the baths was Pulteney Bridge which is so cool. You wouldn’t know you were on a bridge due to all the shops and cafes but from the other side it also looks adorable. It makes the perfect postcard. Bath as a whole is gorgeous to look at and it really reminded me of Edinburgh with all its hills. My final stop was the Roman Baths, the one reason I’d come to Bath in the first place. 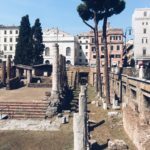 It was super different to all of the Roman sites I’d been visiting in Italy but it was super interesting and useful. It cost £14.50 for a student ticket (£16.50 for an adult one) and included in the price is an audio guide to listen to whilst exploring the museum. I probably spent around 2 hours there as there was so much to see, listen to and read. I went back to my Airbnb pretty easy as I was tired and was just thinking about home. On my way back to the Airbnb I grabbed some antipasti type foodie bites from Lidl and this was the biggest Lidl shop I’ve ever been and it was amazing. Would move to Bath to shop there on a weekly basis. 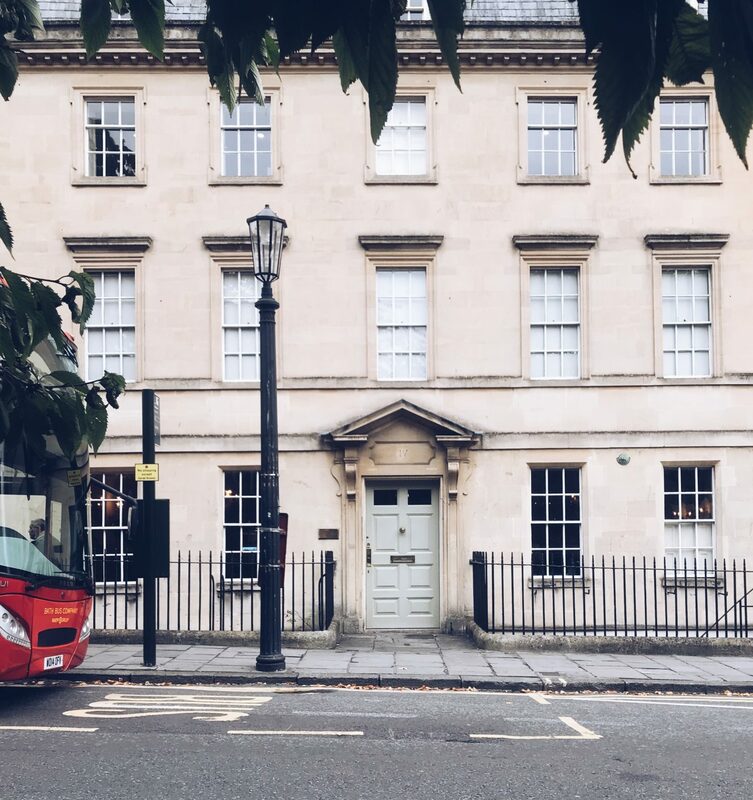 Bath has a tonne of cool museums and sites that have entrance fees including No1 Crescent Museum, Jane Austen Centre, Museum of Bath at Work, Assembly Rooms, Museum of Bath Architecture and the Fashion Museum. I didn’t do these because I was SKINT after three weeks in Italy (isn’t cheap, who knew) and I wanted to save my money for my weekend blowout of partying with my best pals in Glasgow. As I was flying home from Bristol, I decided to do some exploring there instead of another day in Bath. 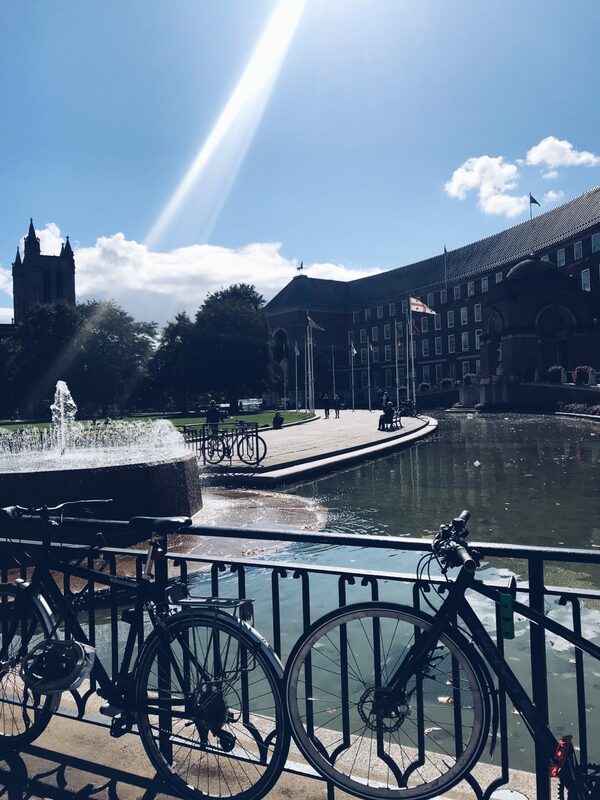 I got the train from Oldfield Park to Bristol Temple Meads and then walked to the waterside area to leave my luggage at the Bristol Tourist Information Centre for £5. I had planned to visit The Georgian House Museum and The Red Lodge Museum but both were unfortunately closed on Thursdays. 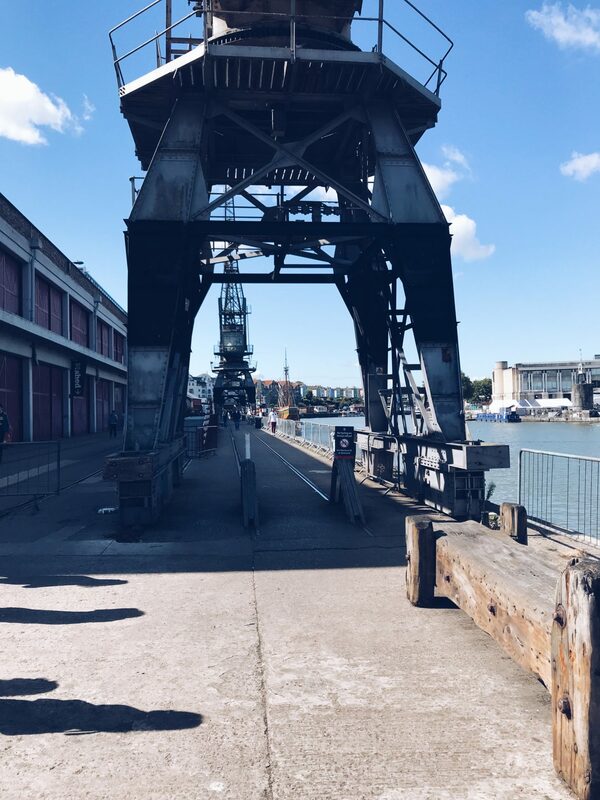 I spent around two hours in the M Shed Museum which is all about the history of Bristol, its people and the way it has developed over a thousand years or so. It was free entry which was fantastic and you got a great view over the waterways from the first floor. 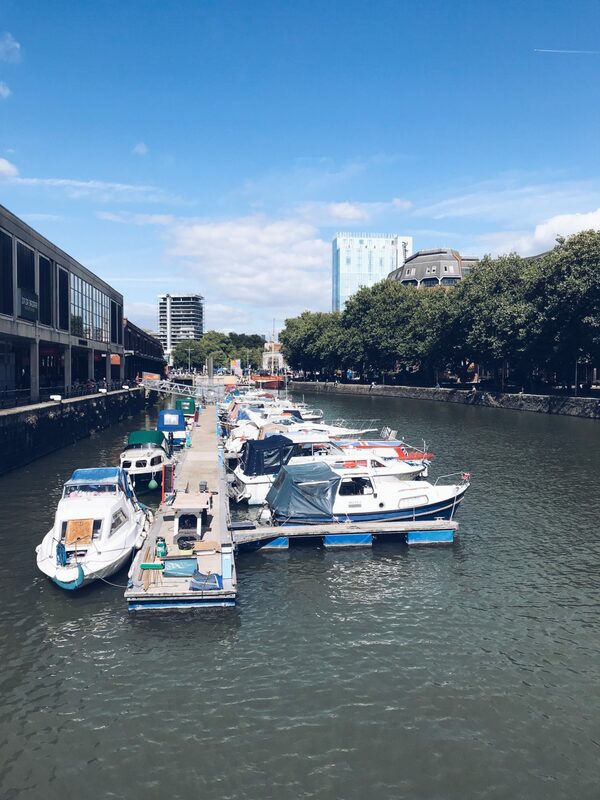 There are so many places to just chill out in Bristol – with people sitting by the water, in park areas and on benches throughout the city. I sat by the water for a while and read my book, although I was paranoid my sandals would fall into the water. I also visited Bristol Cathedral which was free to enter and had beautiful and peaceful cathedral gardens to enjoy. 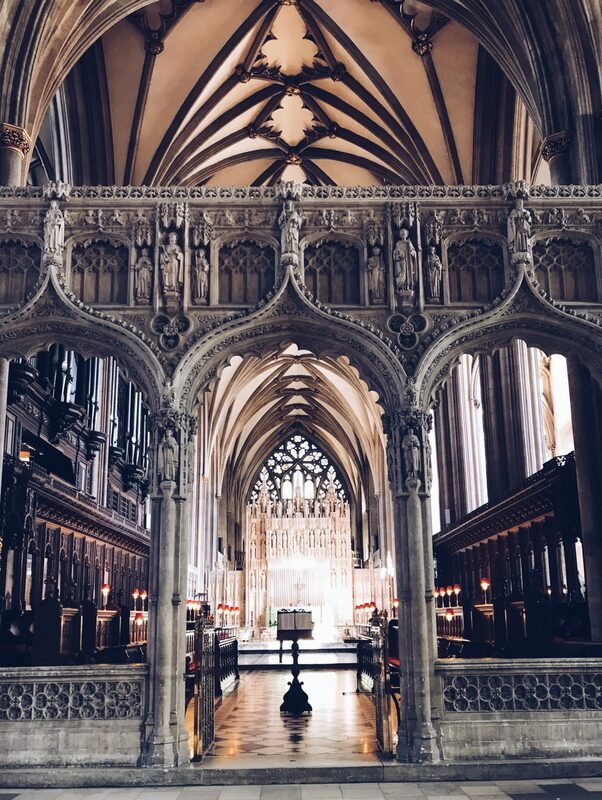 I ended up having lunch in the cathedral cafe as I was tired and starving where I had a tasty cheese and pickle sandwich, a can of Diet Coke and the most delicious slice of lemon drizzle cake. Bristol had so many cool looking restaurants, cafes and bars but I didn’t explore them much as I am extremely skint at this moment in time. 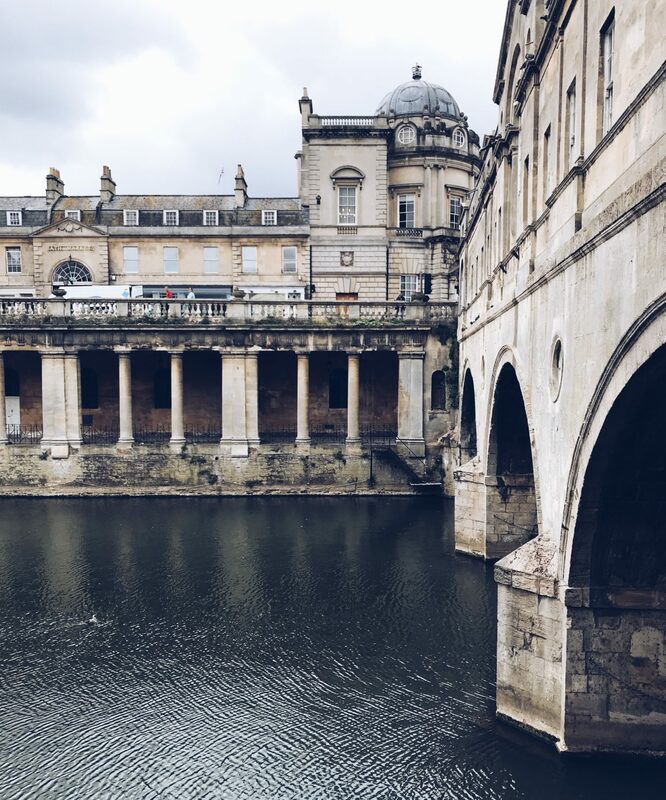 Bath and Bristol were both beautiful cities – with so much to offer. They reminded me a lot of Edinburgh and Glasgow as they are so different but special in their own way. I’d definitely do a weekend visit back to this part of the world as I still have so much to see.